Victor Cruz is the only restricted free agent still unsigned by the Giants, and Tom Coughlin is concerned, David Satriano of the New York Post reports. Speaking on WFAN Monday afternoon, Coughlin said he hoped at this point Cruz would have signed a deal and been involved in offseason workouts. The deadline for another team to sign restricted free agents to an offer sheet was April 19. “It has to be a concern because when the restricted free agency period is over, you would hope that things would move fast. What we want is exactly what I said the other day. We want a win-win. 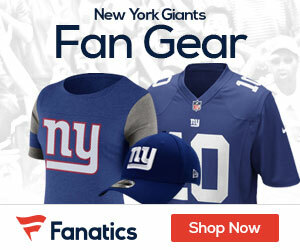 We want Victor to be proud to be a New York Giant, proud of his contract,” Coughlin said. As a restricted free agent, Cruz’s options are to sign his one-year tender of $2.879 million, sign the multi-year deal (averaging more than $7 million per year) on the table or else hold out in hopes of squeezing more money out of the Giants. Cruz was missing for the start of the Giants optional offseason program which opened on April 15 which was hardly a surprise. 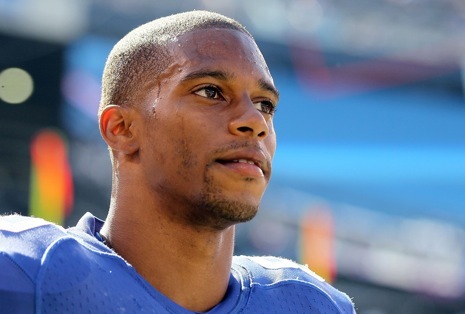 Will The Giants Sign Victor Cruz To A Long Term Deal Before The Season? Cruz is rolling the dice… it’s his career, his life. Sign the tender and pass up the additional $4M to go UFA next year, or sign the deal on the table and be a Giant long term. If $7M isn’t enough, then he’ll chase UFA money and go see if the QBs with the Jags, Cards, Browns, Chiefs, Titans, Dolphins, Bills, Vikings, Bucs, Bengals, etc. can get him the ball like Eli has and will. Or, maybe a top tier QB is in his future, so he’ll play in Green Bay, New England, New Orleans, Pittsburgh, Denver, Atlanta… and continue his stardom… but without the New York City big market endorsements. It’ll be interesting to see how smart Cruz really is. Has the whole NFLPA investigation into Jay-Z situation resolved? Maybe Cruz and his agent is waiting to see what happens with that. I don’t think Giants should offer more then 8mil. Giants have too many contract needs with Nicks, JPP and Tuck. and the whole NY endorsement money is overrated. If a player is good then he will make his endorsement money. Strahan played all those yrs in NY as an elite player and didn’t get endorsements until he announced his retirement. NY athletes don’t get much endorsements except the last couple yrs with Eli, Jeter and Melo so I never understood that argument.